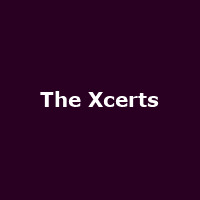 Having recently rewarded fans' loyalty with a very special live album 'Live At King's Tut's' made available exclusively through iTunes, The Xcerts are now set to release the third single from their critically acclaimed debut album; 'In The Cold Wind We Smile'. 'Nightschool' - a standout fan favourite in the band's live set - will be released as a download single on 5th October through Xtra Mile Recordings. The angst-ridden anthem will be backed with an atmospheric remix of 'Home Vs Home' by The Blueskies. The video for 'Nightschool' captures the essence of the band's live set with a raucous performance at a house party. Directed by Ricky Gibb and Richard Watson and shot at lead singer Murray MacLeod's house at night, the video depicts the preparations for and goings-on at the house party building to a climatic end with the band performing live in the garden. In addition to news of this single release The Xcerts can also announce that they will be taking to the road with friends This City in September and then supporting their childhood heroes Idlewild in October.